The Israeli army said it had shot down a Russian-made Syrian drone carrying out a reconnaissance mission over the Israeli-occupied Golan Heights on Saturday. 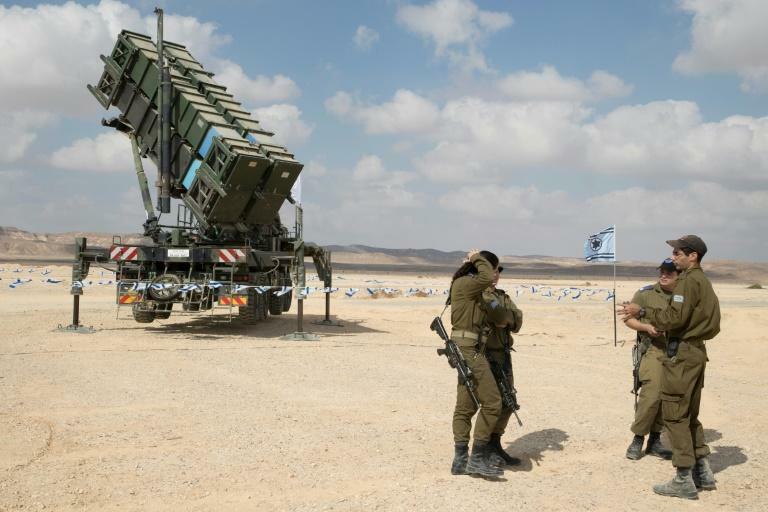 The drone was intercepted by a Patriot missile in the demilitarised zone between the Israeli- and Syrian-controlled parts of the Golan, a military spokeswoman said in a statement. "The State of Israel regards with utmost seriousness any violation of its sovereignty and will respond with force to any provocation," Israeli Defence Minister Avigdor Lieberman said in a statement. "We will not allow the consolidation of a Shiite axis in Syria" as a base for operations against Israel, he added, referring to the presence of Syrian regime allies Iran and Lebanese militant group Hezbollah in the war-torn neighbouring country. Israel and Syria are still technically at war, though the armistice line on the Golan Heights had remained largely quiet for decades until civil war erupted in Syria in 2011. In September, Israel's military shot down what it said was an Iranian-made drone operated by arch-foe Hezbollah on a reconnaissance mission over the Golan. Israel has also seen regular spillover fire from the Syrian conflict and acknowledges carrying out dozens of air strikes to stop advanced arms deliveries to Hezbollah. The Lebanese militant group is a key backer of Syrian President Bashar al-Assad and has fought alongside his troops against rebel forces.